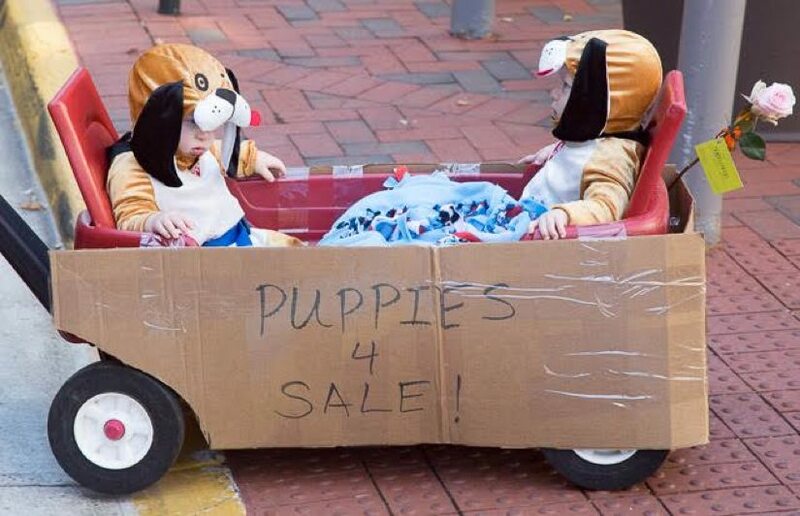 I will never tire of seeing children in their Halloween costumes, roaming the streets (or Lake Anne Plaza or the Reston Town Center) in search of the perfect treat. The joy is a pure delight. Second only, perhaps, to seeing dogs and cats dressed in costumes, roaming the plaza also in search of the perfect treat. On Saturday, Oct. 29, I’m going to get my fill of both. There are plenty of opportunities for kids and pets to enjoy a little pre-Halloween fun. Saturday, Oct. 29, 1 p.m. to 3 p.m. Being this cute isn’t so ruff. Especially if you are a dog lover! Come down and see the dogs (and a few cats) of Reston in their Howl-o-Ween finery. There are games, there are contests, and there are treats for your furry friends. Festivities start at 1 and continue until 3 p.m. The costume contest starts at 1:30 p.m.
Saturday, Oct. 29, noon to 4 p.m.
Any child in wearing a costume (maybe one to match the dog?) can celebrate this special day by visiting participating retailers and the Information Center for treats and goodies. Look for the pumpkin flyer in the window. If you aren’t coming over to Howl-o-ween, be sure to enjoy a spooky, magical performance for all ages by Turley the Magician at 1 pm in Fountain Square. Saturday, Oct. 29, 4 p.m.
You can make the rounds with your dog in costume by attending this pet event. Register your dog to participate in the contest and win prizes. Register online by Oct. 27 or at RTC on Oct. 29 from 2 p.m. to 3 p.m. (registration table will be located in front of the pavilion).